It’s a new world order in banking according to Wednesday’s Financial Times. This week’s passage of the Volcker rule by five regulators including the SEC and Commodity Futures Trading Commission means banks are banned from trading for their own accounts, known as proprietary trading, restricted in their investments in hedge funds and private equity and their chief executives are being held more accountable for their bank’s activities including trading positions. The Volcker rule is part of the Dodd-Frank reforms passed in 2010. According to SIFMA, the Securities Industry and Financial Markets Association, the Dodd-Frank Act is still a lengthy work in progress. “Roughly 250 new regulations need to be researched and written by at least a dozen regulatory agencies.” Will these new regulations make the banking industry safer and more stable? How damaging will they be to bank profitability and competitiveness? All that remains to be seen. This week we are focusing on the sticker shock facing tax payers and investors this year. They say nothing is certain but death and taxes and what is certain this year is that taxes have gone up and the trend will continue next year. Anyone with earned income this year has seen a reduction in take-home pay because Social Security withholding has increased. The employee Social Security tax rate was reduced in 2011 and 2012 to 4.2% to give Americans more spending money. This year it was raised to its old level of 6.2%. Upper-income Americans especially are feeling the heat from two huge laws: the 2010 Affordable Care Act, otherwise known as Obamacare, and the American Taxpayer Relief Act of 2012. With Obamacare came the “Medicare Contribution Tax,” a 3.8% surcharge basically on anyone with adjusted gross income greater than $200,0000 if single, or $250,000 if filing jointly. As Lisa Whitcomb, Director of Wealth Strategies at wealth management firm Glenmede, told me “that is finally hitting investors’ consciousness.” As for the Taxpayer Relief Act – got to love that name – that brought a new 39.6% tax bracket on taxable income in excess of $400,000 for singles and $450,000 for married couples plus a rate increase from 15% to 20% on long-term capital gains and qualified dividends for those in that highest income tax bracket. They say the devil is in the details and there are plenty of other details. Watch out for the reinstatement of limitations on itemized deductions and limitations on personal deductions. There is also another unexpected tax hit coming toward investors. Mutual funds are beginning to announce their year-end capital gains distributions and this year some of them are hefty. The combination of a bull market and redemptions are causing some actively managed funds to take gains to raise cash. Morningstar recently warned that funds as varied as Royce Low- Priced Stock Fund, Longleaf Partners Small Cap and Calamos Growth will all make big distributions. This week’s guests are both experts in tax strategies. Alexandra Lebenthal is the President and CEO of Lebenthal Holdings, a boutique investment bank, as well as an asset management and wealth management firm for high net worth individuals. It is the largest woman-owned securities underwriting firm in the business. Lebenthal is the third generation to run a Lebenthal investment firm. 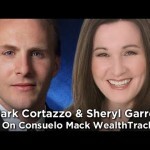 Mark Cortazzo is a familiar face on WEALTHTRACK. 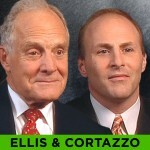 Founder and senior partner of the now 20-plus year old wealth management firm MACRO Consulting Group, Cortazzo has been recognized as a top advisor by Barron’s Magazine for the fifth consecutive year, as well as by Worth and Fortune magazines. InvestmentNews recently identified him as a “top transformational advisor”. If you haven’t heard our most recent guest stories in our WEALTHTRACK EXTRA feature, please check them out. You will hear what it is like to be the third generation Lebenthal to run the family firm and find out what sport “pole vaults” Mark Cortazzo’s life and energizes him in his career. There is also special interview with Winthrop Smith Jr., author of the just published Catching Lightning in a Bottle: How Merrill Lynch Revolutionized the Financial World. Smith’s story of the creation of the world’s once largest brokerage firm is emblematic of Wall Street’s great success and critical role in the growth and prosperity of this country. The firm’s failure represents the misguided priorities permeating Wall Street today. Have a lovely weekend and make the week ahead a profitable and a productive one. Several WealthTrack Great Investors, like Don Yacktman and Steven Romick, are holding cash. Two blue chip financial advisors offering wealth building advice for blue collar budgets. Sheryl Garrett of the Garrett Planning Network and Mark Cortazzo of MACRO Consulting Group discuss affordable financial services for the rest of us.